Archipelago International, a leading Indonesia-based hospitality management company, announced that Harper Palembang is ready to open its doors in January 2019, becoming the first Harper hotel to open in Sumatra. 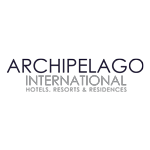 Archipelago International has just announced their newest addition to the family album with the opening of NEO Waru Sidoarjo. Adopting the brands signature futuristic feel, the first NEO hotel to open in the area is ready to set a new benchmark for Sidoarjos accommodation options. Archipelago International, a leading Indonesia-based hospitality management company, announced that ASTON Malang City Hotel will debut in Malang, East Java, in 2021. In conjunction with Mothers Day, Archipelago International recently held an Instagram photo contest named Archipelago For Mom, inviting Instagram users to post memorable moments with their Mothers. Using the hashtag #ArchipelagoForMom, more than 298 images were submitted between the 5th and 18th December, 2018, together with unique captions to describe the heartwarming memories. Throughout the month of December, Archipelago International, Indonesia's largest hotel management chain, is celebrating the festive season and year-end holidays by inviting guests to indulge in a selection of exclusive offers and packages at a number of managed properties throughout Indonesia.